I have worked in ministry as a hospital chaplain, and one of the big lessons that chaplains learn early in their training is the rigor of accepting the inherent limits in the pastoral care of patients, families, and staff. These limits come in various sizes and flavors. Some patients will not improve dramatically in health. Some will die soon or after a few recurrent hospitalizations. For others, there isn’t the luxury of a longer-term ongoing pastoral relationship with the patient after discharge from the hospital. The neophyte chaplain usually finds these realities difficult, as they challenge his well-intentioned desires for healing or solving, completion, closure, and that wonderful feeling of having actually fixed a human problem. The realities of pastoral encounters can become sources of discouragement and self-doubt. It is precisely in this experience of apparent frustration that the deeper learning and formation of the chaplain happens. In fact, what I have described here as pertaining to chaplains applies to many, if not all, in ministry in all its forms: biblical counselors, pastors, parents, missionaries, and teachers. 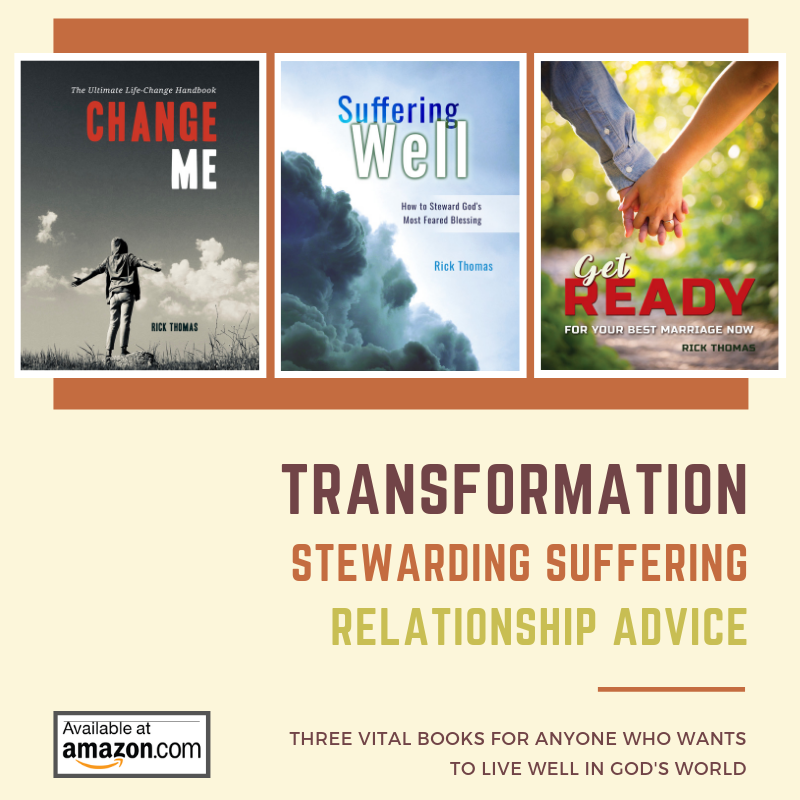 For those involved in biblical counseling and discipleship, the sting of not seeing results can be even sharper as we are ministers of God’s Word offered into the lives of people, and we expect change and a demonstration of the effective Word of God. So, what is the deeper learning and formation made available to us through the pointed experience of limitation and even apparent failure in ministry? One of the elements that attracted me to chaplaincy ministry is what is called a ministry of presence. Presence has to do with availability at the level of the heart and mind, deep listening, empathy, connection, coming alongside, walking with and accompanying. My theology of ministry is informed by Trinitarian theology that accentuates mutual relationship and respectful, non-coercive presence. God’s non-coercive presence essentially offers a person love, freedom, acceptance, reconciliation, and being seen truthfully and compassionately. Since the human person is created in the image and likeness of God (Genesis 1:26) the human person is hot-wired for a mutual relationship and is called to offer non-coercive presence to others. God does meet me and love me as I am, but He does not wish to leave me as I am! The gospel is about turning away from sin and towards God (repentance) and believing in Jesus Christ, the Son of God. My point is that the primary element in biblical counseling and other forms of ministry is to be an agent of God’s presence to the other person, rather than an agent of our own anxious agenda to fix the other person. This fix-it mentality has a dimension of coercion and subtle violence that is not of God. It is success oriented rather than Spirit-oriented. This requires humility and sobriety on the part of the counselor or minister. As counselors, we are mere servants of the Word, and our measure of success is not the worlds. The gospel of Jesus Christ has a different logic and grammar. The Christian’s measure is not contingent on success as defined by our goal-oriented selves, divorced from God’s providence and timing. We find in ancient Christian writers the image of the Church as a hospital where human beings are cured of the deep wound caused by the fall. Enter into the Church and wash away your sins. For here there is a hospital and not a court of law. – John Chrysostom. The Divine Physician is the one who completes, who fixes, who brings to completion the shattered and broken human heart. We have been given the dignity to be called into ministry by the Spirit and to be ambassadors of Christ. Our dignity is derived from our divine vocation as handmaids or instruments of grace for others; it is not derived from being the source of grace itself. Here lies the subtle and unrecognized temptation for the helper. The irony of these pastoral encounters is that the less we wish to fix the other person, the more real, intimate and honest do our encounters become–all in service of the Holy Spirit who will do the work in the person sitting across from us. If one accepts the Trinitarian theology of mutuality and presence mentioned above, our mutual presence as human beings can become incarnations of God’s presence. We become the face of Christ for the other person–in silence, gesture, and speech. There is good news here: we do not need to be God! The dignified service God has given us, His sons and daughters, is to plant and water the seed of His Word in the lives of others, and He will give the growth (1 Corinthians 3:7). This is a liberating message that frees us to be present to others in ministry, not for our sense of accomplishment, but for the love of the Father, whose Spirit will blow when and as it wills, over the lives of the those who He has placed in our path.